What is OST converter, you might wonder? This is a special program used to convert OST files into other formats. First, let us define the OST format to make things clear. OST, also known as Outlook Offline Folder File format, stores e-mail messages and other data saved by Microsoft Outlook (version 2005 or later) from an Exchange server. 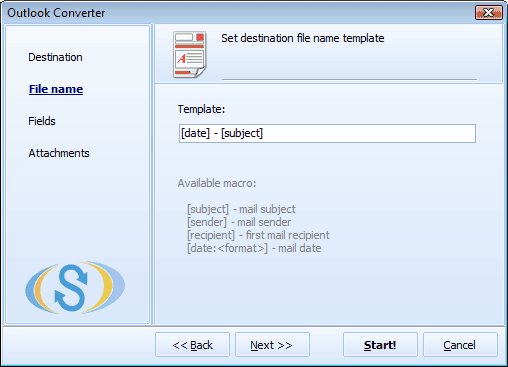 This format is only compatible with Microsoft Outlook 2010, Microsoft OST Integrity Check Tool, Remo Convert OST to PST, SysTools OST Recovery, and OEMailRecovery.com Outlook Recovery Toolbox. 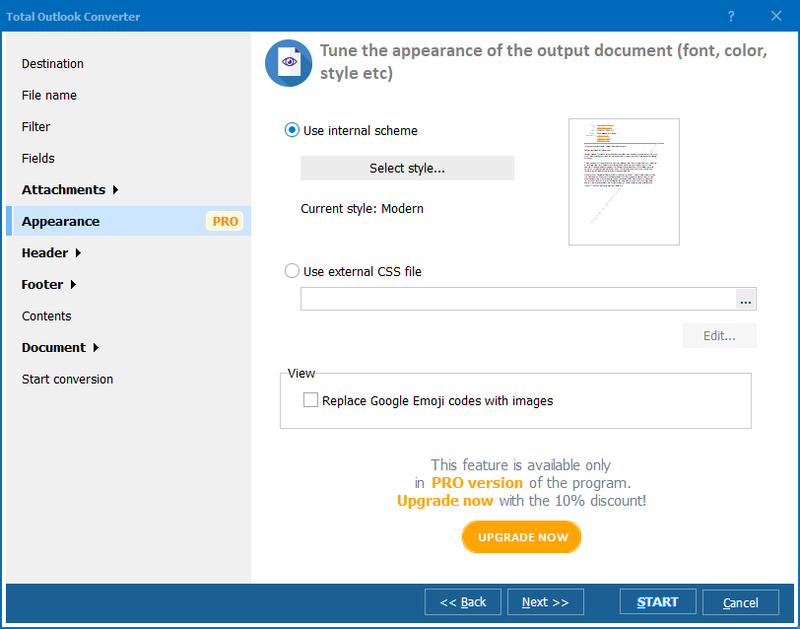 If you want to view OST files with the help of other programs, you consider using a professional Outlook Converter. 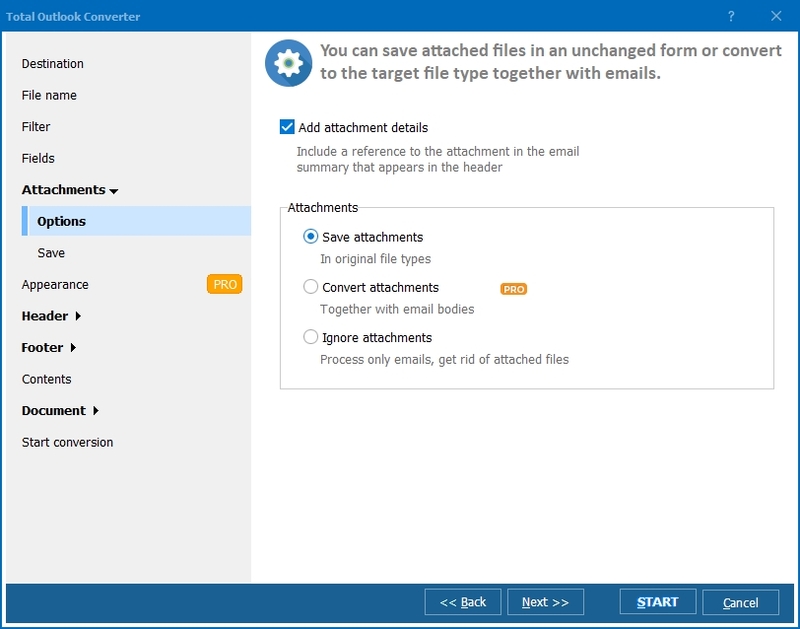 At CoolUtils we know what it takes to convert OST documents and that is why we have created Total Outlook Converter, a unique tool that is designed to convert OST files from Microsoft Outlook to other formats. CoolUtils offers you OST converter free download. You can use the trial version of the program for 30 days absolutely at no charge! OST converter download is available here. You can also buy the fully functional version of the program for personal or corporate use starting at as low as $49.90. OST converter installation is very easy. Simply follow the instructions of the setup wizard. 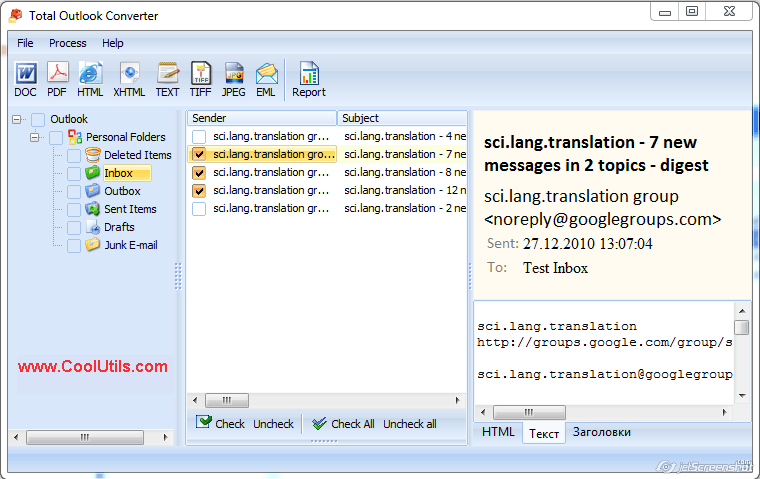 OST converter can be launched as every other program. 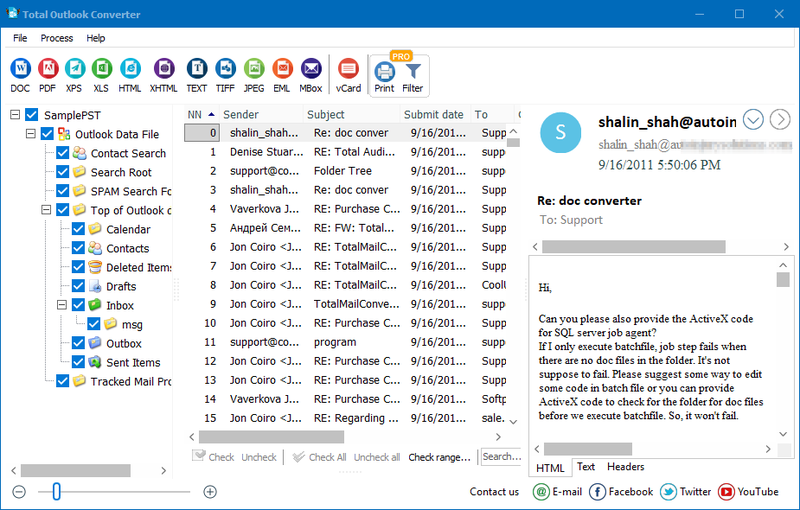 OST files can be selected from the list of files automatically generated by Total Outlook Converter. The target format can be selected by simply clicking on the corresponding button. The conversion starts automatically when you press the "Start!" button. You can choose to change default settings to the ones you prefer. To get your free trial version of Total Outlook Converter by CoolUtils, click here! Or contact CoolUtils support team to learn more about this and other offers. 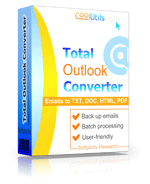 To convert e-mail attachments, consider trying Total Outlook Converter Pro.